Luck's intangibles are what set him apart from any other talented quarterback. As an athlete, he has all the traits of a franchise quarterback. He is tough, durable and willing to step into a throw with oncoming rushers breathing down his back. He has a deliberate set-up with no wasted motions and has really developed and showcased the ability to play from many different looks while at Stanford. He developed under the tutelage of both Jim Harbaugh and David Shaw, two coaches who know how to develop quarterbacks. Luck has the size to take a hit, and the athletic ability to get outside and make plays happen with his feet. Once on the move, he makes his second and third reads with ease. He has a very compact and quick release, and he is able to fire it out to the flats with ease off one-step drops in the short passing game. 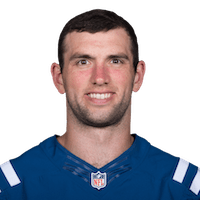 The most intriguing aspect of Luck's career was the amount of mistakes he made, a number which only continued to decrease throughout his career. He rarely forces a ball into tight coverage. He won't make any mistakes off the field, and rarely makes them on it. He is a strong, natural, competitive, athletic quarterback. One would be hard-pressed to find negatives to Luck's game. There are no glaring weaknesses in his play, and while some could argue he isn't the athlete that RG3 is, that is simply not his game. He displays the athleticism necessary to excel as a pocket passer. There are times when Luck second-guessed passes and simply didn't see a breaking corner coming from another zone, such as the play that almost got Stanford beat towards the end of a high-energy USC game, but for the most part Luck works to identify and improve on his weaknesses.